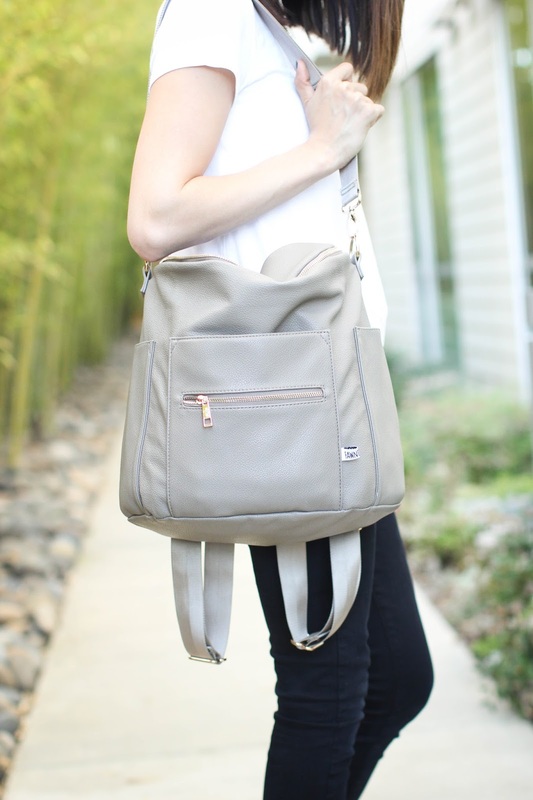 This gorgeous bag right here might be my #1 new-mom recommendation. The number of compliments I have gotten on my "purse" is ridiculous, and I love surprising people and telling them that it's actually my diaper bag. This bag is seriously gorgeous! The pictures don't do it justice. Being a mom of two (in diapers...we're working on that *insert crying emoji here*), I have to have a bag that holds everything I need for both babies. This bag has not only enough space for everything I need for the kids, but I'm always throwing stuff in there for myself as well. Plenty of room for everything! I also love that this bag has plenty of space without feeling huge or boxy. This might actually tie for my number one must-have. There is nothing more annoying than your bag sliding off your shoulder while you're trying to carry 3 million things, as well as your child, so backpack straps are a MUST (especially if you're traveling/flying). Take note on this one. Backpack straps. Seriously. As much of a hot-mess as my diaper bag may sometimes be, I pretty much always know exactly where everything is. I have all of the amazing compartments/zippers to thank for this. The inside of the bag has 5 zipper-less pockets, there are 2 pockets on the outside that are perfect for sippy cups or water bottles, and then the amazing front pocket along with the zipper pocket, perfect for my stuff! Even though your bag may often be filled with loose fruit snacks, stinky diapers, booger-filled baby wipes and other gross things, there is NO reason for it to be ugly. 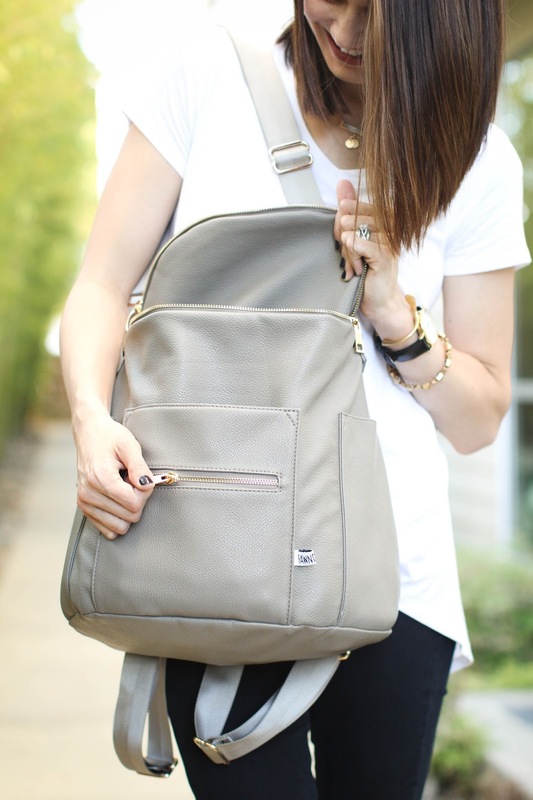 If you're like me, you've pretty much given up on carrying a purse and a diaper bag at the same time, so I LOVE the fact that this bag is so gorgeous and stylish. 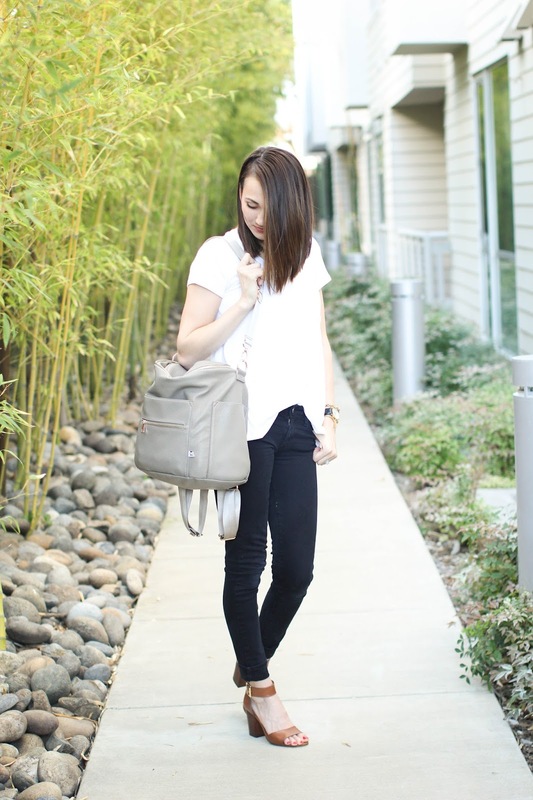 Fawn Design offers this gorgeous bag right now in 3 beautiful colors! I may or may not also have a black one. They're pretty. Real pretty. I did a "What's in my Bag" post before I had Knix, but it may give you a better idea of the size and what you can expect to fit into this bag. Read it HERE! Moral of the story: I LOVE this bag. Love the post so much! And all the photos are AMAZING! Thank you all your kind words and support!! !